Trolleys were one of the first modes of transportation in the United States. Often referred to as the transportation that built American cities, Trolleys have a way of attracting riders of all ages and now all abilities. 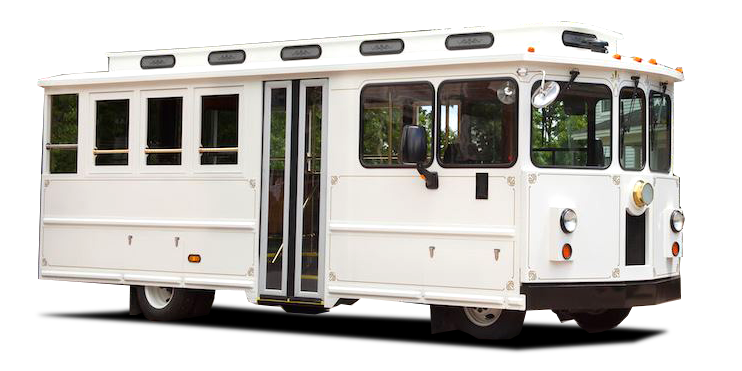 A-Z Bus Sales is proud to offer the Specialty Vehicles Spirit of America low floor trolley bus. The low floor trolley provides easy access to all via the low floor ramp, allowing disabled and wheelchair-bound passengers to enter the bus with little to no assistance. This makes the trolley bus a truly desirable transit bus for municipalities, counties, and universities. 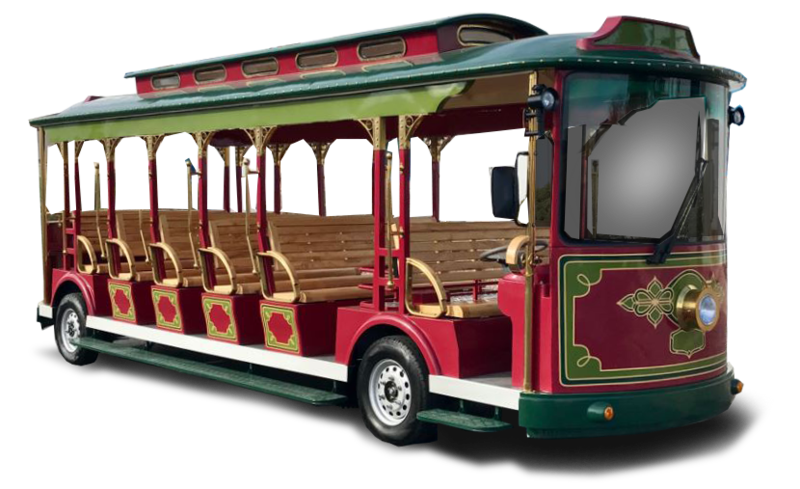 The new Spirit of America Trolley — manufactured by the low floor bus leader, ARBOC Specialty Vehicles — can accommodate up to 37 passengers. The Altoona tested trolley bus is also built on the Freightliner XBA Low Floor Rail Chassis and powered by a Cummins ISB 6.7L / 240HP diesel engine. 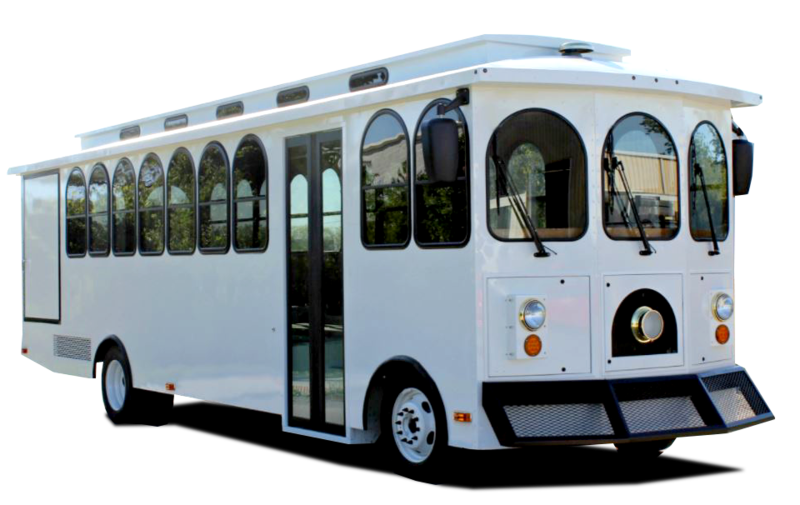 Specialty Vehicles offers a variety of trolley buses that are customizable to fit your specific transportation needs. 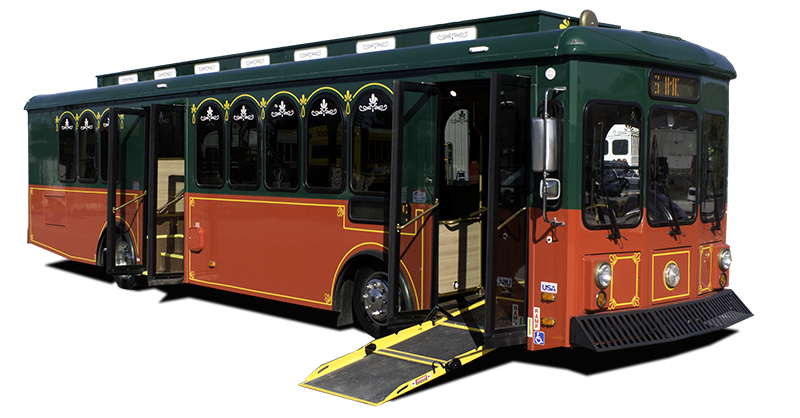 Depending on your ridership, Trolley’s can seat from 8 to 37 passengers and offer ADA accessibility. Download specification sheet to see all of the Trolley’s features.